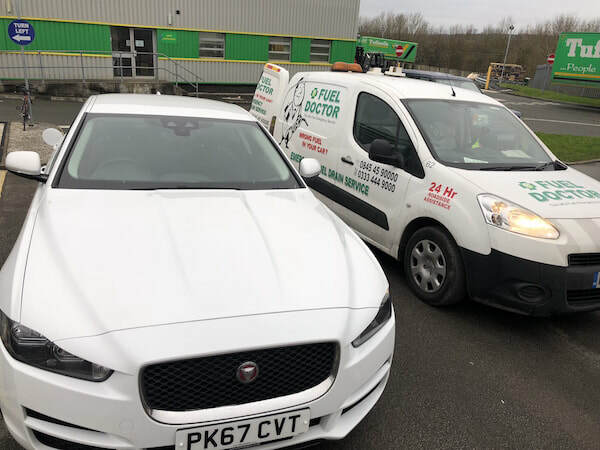 If you have put the wrong fuel in your car, be sure to call one of our qualified local Blackburn fuel drain technicians. We have Fuel Doctors covering all the local areas in and around Blackburn. Supporting the Blackburn NHS after a wrong fuel episode - even the professionals get it wrong. 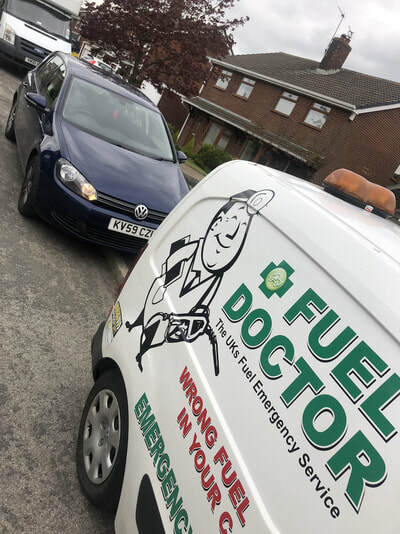 Fuel Doctor are a national company with technicians in Blackburn on standby. 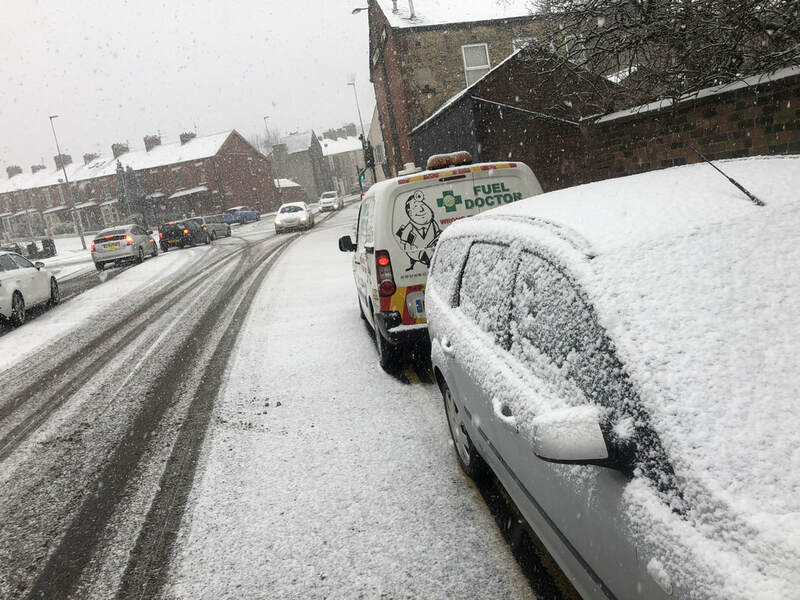 If you have put the wrong petrol in your car you can call us anytime of the day and you will have a dedicated local Blackburn Fuel Doctor to get you back up and running. Everyday roughly 20 people put the wrong fuel in their car in Blackburn area, whether its diesel in petrol or petrol in diesel. It's a very common mistake and easily done, we understand that you need us there fast and to get back on your feet to get on with you life. 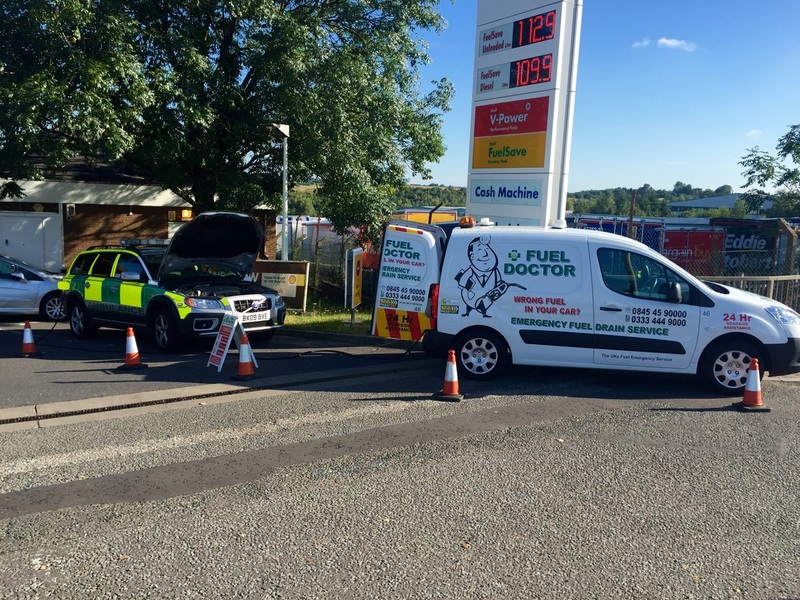 No matter where you are in the Blackburn area of Lancashire, we have a Fuel Doctor near you. We will be with you within the hour and with you for around 15 minutes. Don't panic, just call us. This customer put 10 litres of petrol in his diesel tank which was already on empty at Asda Blackburn. The customer found us online by searching put wrong fuel in my car and found us being the cheapest independent fuel drain provider. We arrived within the hour and drained the wrong fuel from his VW Golf and had him back on the road in 20 minutes. Totally happy with the price and the service. It goes to show that we are all human, at the tail end of a long shift, the driver of this Renault Master Ambulance put Petrol in the vehicle's Diesel tank at the Sainsburys filling station in Blackburn. We were happy to correct this simple mistake for the hard working people of the NHS and have them back on the road where they are most needed. They received their next emergency call shortly afterwards. This customer put the wrong fuel in his car in Darwen on the outskirts of Blackburn, we arrived within an hour and got him back on the road.